The school year is winding down. Those ending their junior year are planning summer trips to college campuses and most seniors are gearing up to head off for college this fall. Over the last few years, much has been written about the cost of this next-step education. In its most recent survey of college pricing, the College Board reports that the average fees for a 4-year, public state college – which includes tuition, room and board – was $18,943 for the 2014-15 academic year. For a public, out-of-state college, the price escalated to $32,763, and for private college? A whopping $42,419 – for the privilege of sitting in a building belonging to an institution with lofty name recognition. In addition to tuition, colleges include a separate charge: mandatory fees. Ancillary expenses such as expensive textbooks, travel, clothing, and pizza nights with friends are costs above and beyond tuition and fees. The “correct” school is often chosen during a brief encounter with the campus’ beautiful, rolling green hills. Parents see the excitement in the eyes of their college-bound child and want to make their teen’s dream come true. But when the budget is calculated, the reality of the expenses can be crushing for the whole family. College-after-high-school wasn’t always an automatic next step. Historically, college was a destination only for the moneyed gentry. College was a privilege, not an expectation. Young men wore suit jackets and ties; the few women in attendance wore sophisticated dresses. That all changed after World War II with the Servicemen’s Readjustment Act of 1944, better known as the GI Bill of Rights. The law was an unexpected success, enrolling just under 8 million veterans. College became affordable for veterans who would have never gone beyond high school. The GI Bill enrolled 10 times more students than had been anticipated. While states rushed to build colleges and universities at a breakneck speed, the federal government created the National Defense Student Loan program. The availability of “free” government money allowed civilians the ability to go to college in the same way the GI Bill had given access to veterans. College passed from being a wistful American dream, to an American expectation. In addition, does your 18 year old have the drive to succeed? Does she have an appreciation for the amount of money that will be hanging over their head after the 4-year ticket has been punched? 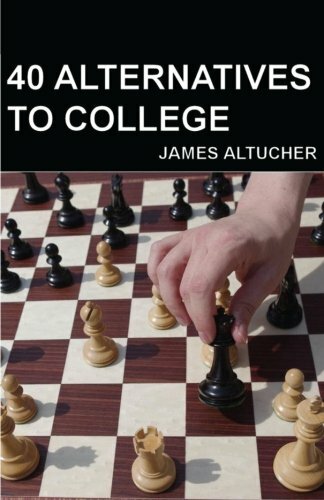 Is he relatively clear about a particular career path, or is he going off to college to “figure out”? That would be a pricey way to sort out your life. I met a young man who was an optometrist. It was quite clear he thoroughly enjoyed his profession. I commented that his joy in his work was palpable. I asked him how he decided on this particular career path, thinking to myself that a day filled with “Which is clearer, #1 or #2?” would be mind-numbingly repetitive. His answer surprised me. “I didn’t get here by a direct path. Growing up, I always wanted to be a marine biologist. I took all the courses and even knew where I would go for my Master’s degree. Then I spent a summer in Florida actually working as a marine biologist. It was the most boring thing I had ever done – catch fish, take some measurements, tag them, let them go. I went back to school really discouraged. I didn’t know what to do next. “I spent the next year taking a wide variety of courses. I really liked science, so thought about becoming an engineer….until I had lunch with my dad’s friend who worked for an engineering firm. I couldn’t stand the thought of being in a cubicle all day long! So, with three years of college under my belt, I was at a complete loss with no real direction. Few will debate the value of a college education for life enriching experiences. But for those requiring student loans, the debt is likely to outweigh the benefit. This is especially true in the current economy, where college grads are not assured jobs that pay any more than the jobs their friends get, who didn’t go to college. According to the Huffington Post, some 41 million Americans collectively carry more than $1.1 trillion in education loans owned or guaranteed by the Education Department, a total that surpasses every form of consumer credit in the U.S. except home mortgages. Even worse, about one-third of borrowers are late on their payments by at least 5 days. The average amount of student loan debt for the Class of 2013 is approaching $30,000 per graduate, according to a report from the Institute for College Access and Success. This average may not reflect the full amount that is owed, if private loans were also used. Before accumulating crushing debt that may take decades to pay off, why not work out a better plan. After all, what’s the rush to go to college? At 18 years of age, what senior really knows the direction and career they want for the next 30+ years – are their guesses worth five or six figures of debt? 1. No matter how much online analysis and research you do, a college choice is as much a visceral decision as it is a mental analysis. 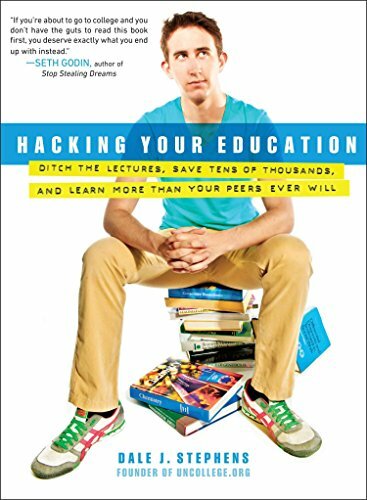 Ask the hard questions: Why do you want to attend Hacking Your Education... Dale J. Stephens Best Price: $1.25 Buy New $7.50 (as of 12:00 EDT - Details) that particular school? What’s the “magic”? 2. Identify local community college options. Ask about freshman basic requirements. What credits can be obtained from a local community college, or online through schools such as the University of Phoenix? 3. Live at home, pay your way. During your year-between, get a part time job – even if it’s working at Dunkin’ Donut or Arby’s. Work out an arrangement to pay a little rent, or help with the food bill. Buy your own gasoline and pay part of your car insurance. College will cost your parents – or you – a huge sum of money over the next four (or more) years. Get an appreciation for the staggering amount of work required to pay off your future school loans. 4. Prepare your first resume. Find a template online to put your best foot forward. Include the honors you received and extra curricular activities you participated in. Perhaps you were the captain of the volleyball team. Be sure to list that activity, as it demonstrates teamwork and leadership skills. Perhaps you were in the Drama Club, on the Debate Team, or you won several music competitions. All of these activities demonstrate initiative, discipline and dedication. No one is expecting this resume to be long, but you can be impressive on paper as a newly minted high school grad. 5. Define your Dream Career. What do you like to do? What if you could make money doing your favorite hobby? Do you want to go to the moon, discover the natural cure for cancer, be in the movies, perform on Broadway? Explore the deep for sunken treasure? Open a chain of restaurants? Work in investment banking? Eliminate poverty in a Third World country? Design clothes? Be a best-selling author? Dream big! This is your life…and the education you choose must pave the way to your dream. 6. Set up a meeting. With your list of potential careers firmly in hand, it’s time to set up the real reason for your 1-year sabbatical before college: Spending a few hours, days, or better, a few weeks working with someone who is actually in each area of interest. You’ll probably howl, “But I don’t know anyone in those jobs!” But how will you find out what the day-to-day life of a zookeeper or CPA really entails, unless you spend time with them? Enlist the help of everyone you know to find your career mentor. Ask your family, relatives and parents to canvas their friends, colleagues, and coworkers for names of people you could approach. Talk to people to get names from those at your place of worship, gym, community center, hair or nail salon. Ask the career counselors at your Community College. Ask your doctor, dentist, or chiropractor. Check out businesses on Yelp, Google and online Yellow Pages. Try to write at least three names next to each career to get a broad view of your future career. The more names you gather, the better. 7. Make semi-cold calls. With the current unemployment rate hovering above 22%, you will need to aggressively go after what you want, even after you’ve passed through college. Start learning those skills now. Start by learning to ask for what you want. If the receptionist says she will need a few days to discuss your proposal, tell her that you will gladly call back in 3 days. Be sure to follow through! If Mr. Thomas is too busy, ask for referrals to another person in his field. When the meeting is confirmed, be sure ask the dress code. Arrive 10 minute early to fill out any required forms and to demonstrate your professionalism. Have at least 10 written questions you want answered during your day. Thank Mr. Thomas for his time and send him a written thank you note. This is a key step for your future. 8. Take good notes. Immediately after leaving the interview, record your experience in your journal. What are the pros/cons of being in that particular career? Is this job interesting? Is it what you thought it would be? Write down the good, bad, ugly of what you will be doing 40+ hours per week. 9. Ask for an apprenticeship. After you have interviewed the majority of the people on your list, decide which 1 or 2 careers were most appealing. Call each potential mentor back and ask if you can volunteer to spend a few more hours or a few more days observing and learning about what the job entails. The more you can learn, the more excited – and dedicated – you can be toward your college commitment. 11. Learn a second language. While you may think you are extremely busy, it is in the best interest of your future to make time to learn a second language. The most useful languages for the future will be Spanish, Russian and Mandarin. 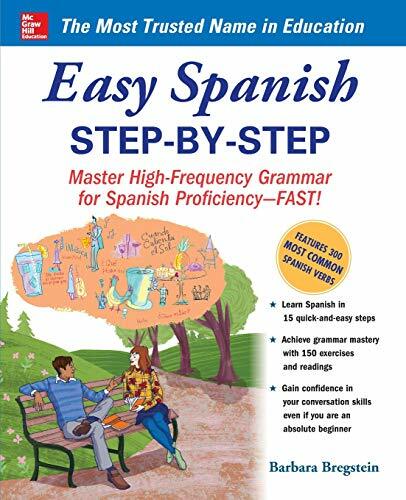 Borrow Rosetta Stone or Fluenz from your local library. Download free apps for your iPhone or iPad. Start with committing 15 minutes per day while driving, exercising or riding the bus or the train to work. You are planning your life pro-actively. This is infinitely more productive than texting your friends. 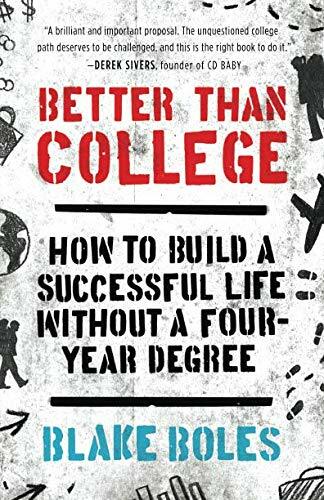 The Importance of Planning The goal here is not to bash college but to encourage you to take your time. Taking a year to methodically explore and analyze your future may be the best decision you will ever make. In fact, at the end of your exploration, you may even decide that college isn’t for you after all. You may receive an amazing offer from one of your mentors for a fully paid apprenticeship. Or you may decide to extend your sabbatical and explore opportunities outside the country. 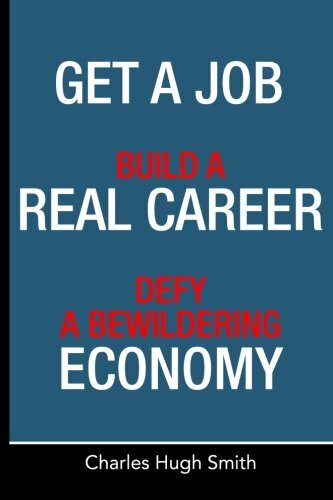 Or, you may want to become an entrepreneur, avoiding college all together. 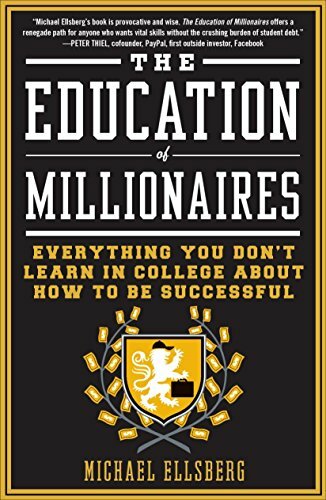 Some of the wealthiest persons in the world are self-made millionaires, without college degrees. They simply found a better, more cost effective way to thrive, define success and have a happy, productive life. 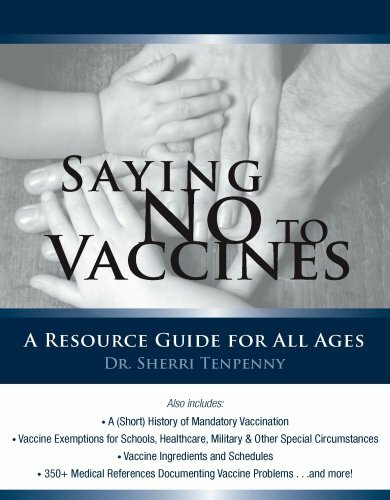 Dr. Sherri Tenpenny is an outspoken advocate for free choice in healthcare, including the right to refuse vaccination. She offers unique treatments offered at Tenpenny Integrative Medical Center for those who have been vaccine-injured. Visit her website. Worried About a Declining T-Level?